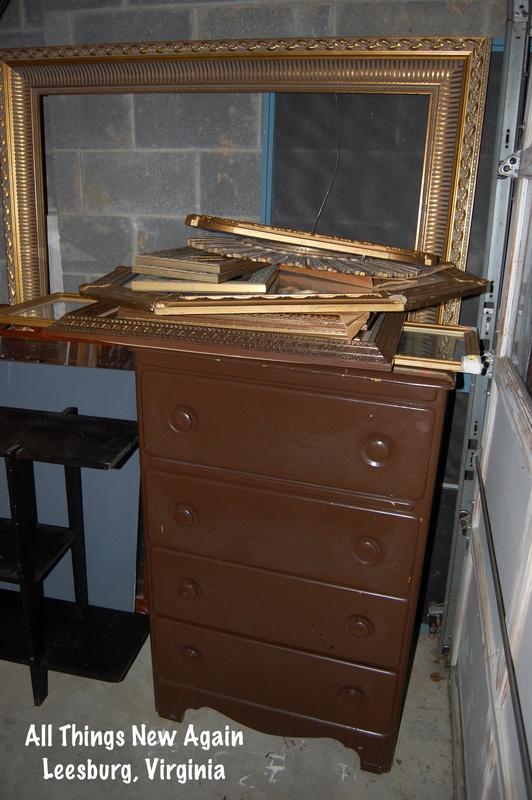 Cheap gold picture frames and outdated artwork are yard sale staples. Don’t pass up a good deal! 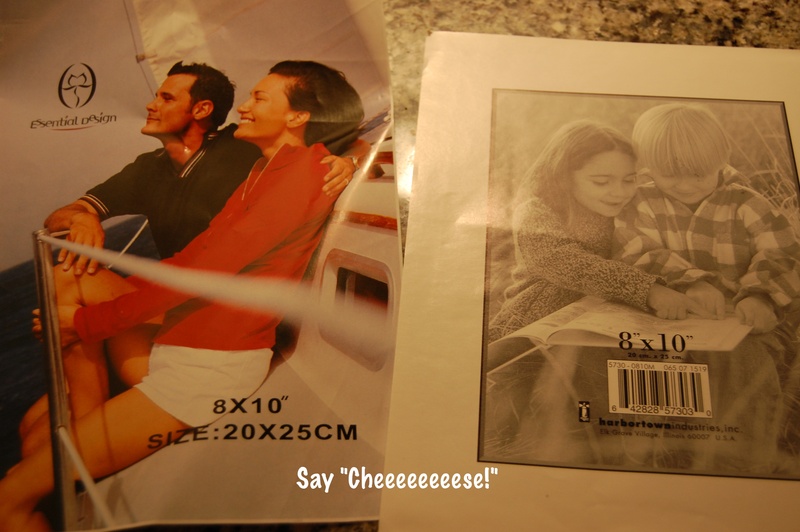 Look past the cheesy smiling models and frumpy floral prints inside of those cheap gold picture frames. These castoffs can be easily transformed into elegant home decor for just a few dollars and a little bit of paint. I have been collecting cheap gold picture frames of all shapes and sizes with an idea for painting and arranging them in a wall vignette. I finally had enough cheap gold picture frames piled up in my garage. But I couldn’t decide if they should all be white … or a mix of beachy colors. I gave all of the cheap gold picture frames a good scrub, threw away the photo inserts and cut off the cardboard backings. Some of the cheap gold picture frames still had the glass and would have looked very pretty on a family photo wall, but I know that’s not what my mom had in mind. 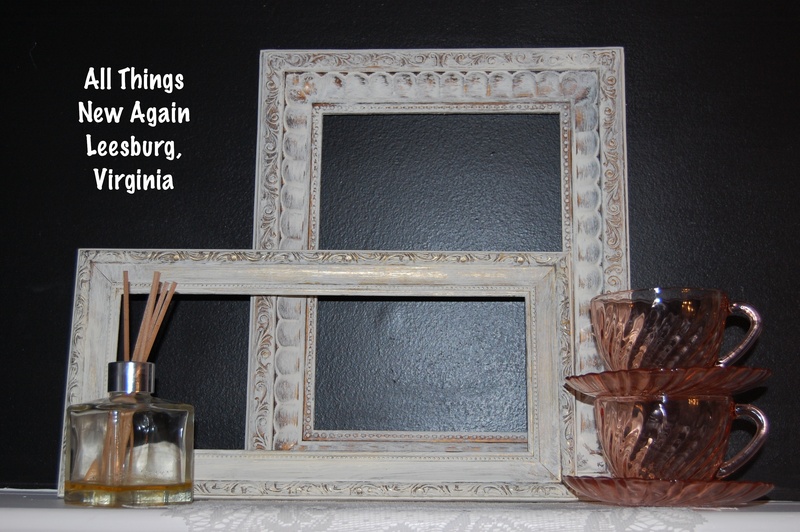 She wanted empty frames to arrange in various ways. I will share her ideas with you after a quick painting tutorial. Now the frames were ready to dry brush, an easy painting technique that delivers stunning results. I used a creamy white paint color, a ratty old paintbrush and a paper towel. The trick to dry brushing is to prevent your paintbrush from getting too wet with the paint. Just dip the tippy-top of your brush into the paint—or skip the paint can and just dip your brush into the lid. You have plenty of paint on the lid to complete this entire project. 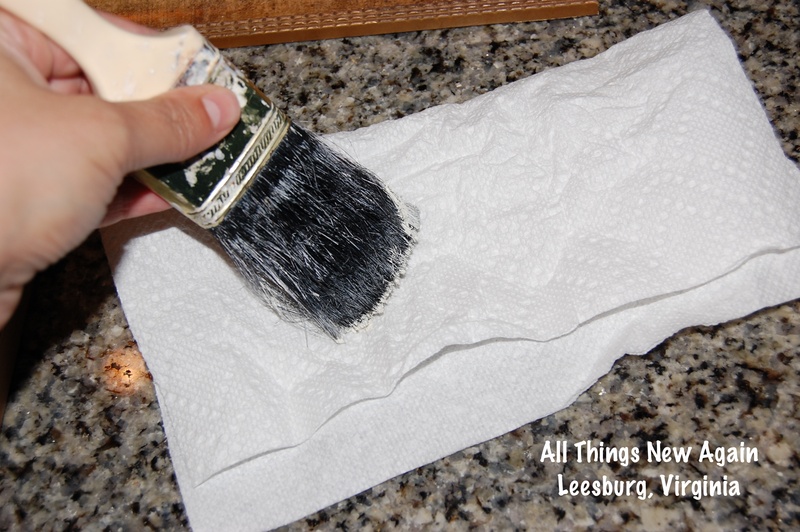 Then pounce your brush on the paper towel a few times until you think you hardly have any paint left on it. Don’t worry—you can always add more paint later. It is better to build up several thin layers of color than to glop it all on at once. Next, you lightly brush the paint onto the frame in quick, short strokes. This technique is more like “feather dusting” than traditional painting. You don’t want to completely cover the surface like you would if you were painting a wall. With this technique, you want parts of the gold frame to show for a little sparkle. Again, it is better to start slow and keep adding more paint until you achieve the coverage you desire. A ratty old brush works well for this because it gives you a lot of nice texture and you can work the paint down into the cracks and crevices. For my mom’s dining room, I stuck with all white frames. However, if you want to get really fancy, you can layer another color or two on top of your original paint color using the same technique. After the paint dries, wet distress the frames to reveal even more of the original gold color. To do this, wrap a damp washcloth around your finger and rub a little bit here and there. 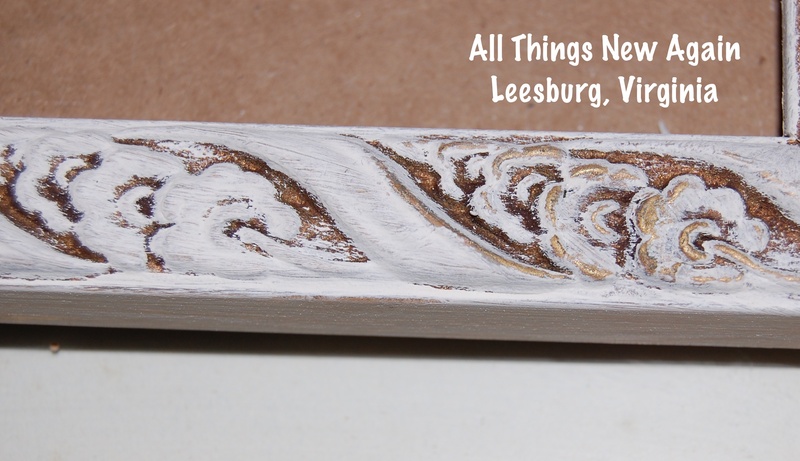 If you rub away too much, just add more paint and try again until it looks wonderful to you. The flowers on the left just look painted over and boring. The flowers on the right have more dimension to them with a bit of gold peeking through. 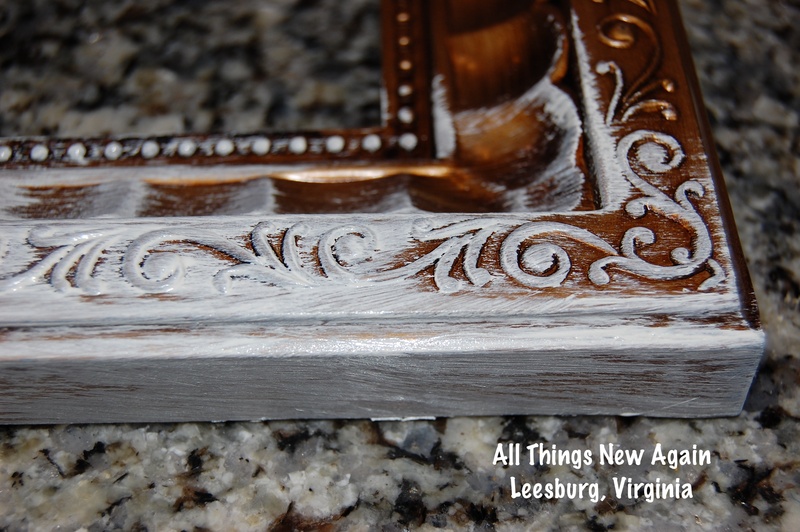 Wet distressing creates a nice patina that makes the frame look more interesting, especially on raised flowers and other embellishments you often find on cheap gold picture frames. The more curly-Q’s a frame has, the better it looks in the end. I finished this project by sealing each frame with a coat of clear wax and giving them a quick buff with an old t-shirt to make them shine. My vision for the frames was to arrange them on the wall in a funky pattern. As usual, my mom had a better idea! 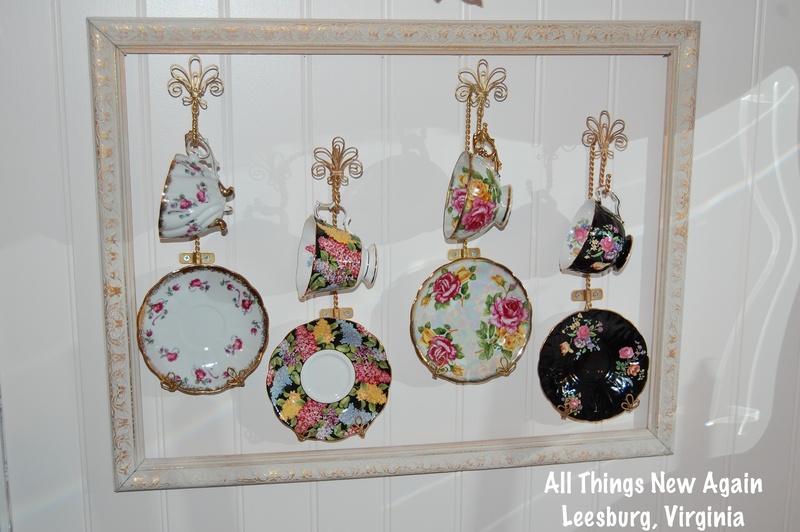 She has an extensive collection of pretty china, which she accentuated with the frames. 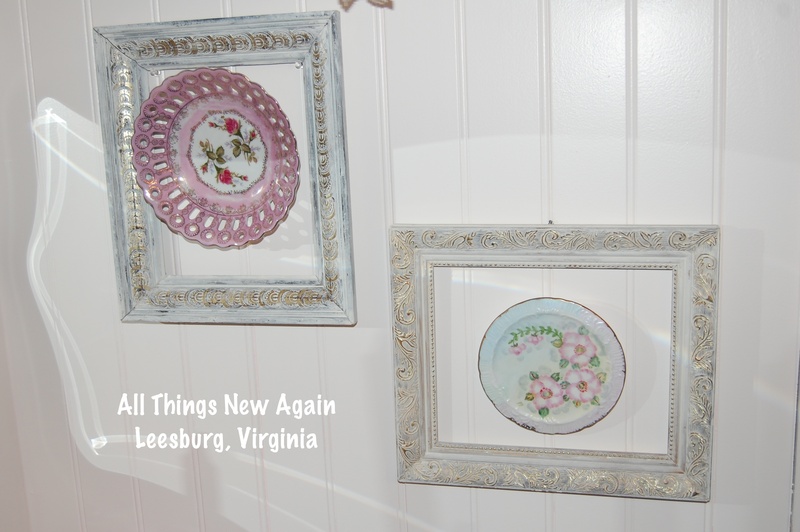 She hung mismatched plates on the wall with a frame around each one. She used one of the larger frames around a display of four sets of cups and saucers, each dangling at different levels for added visual interest. Some of the frames she just tucked on top of shelves, leaning against the wall. I especially like this frame. 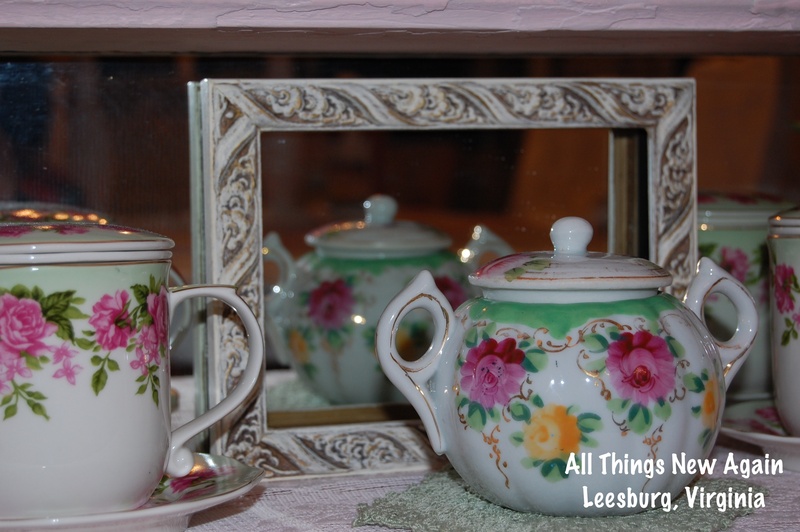 It is an empty frame leaning against a mirror so you can see the reflection of the sugar bowl in it. There’s something beautiful everywhere you look in my mom’s dining room. Now these cheap gold picture frames are beautiful again too—and they fit right in with the rest of the elegant décor. All Things New Again is a boutique furniture store and paint studio in Leesburg, Virginia, about an hour or so west of Washington, DC. Dry brushing is just one of the techniques we teach—and you practice—at our Learn How to Paint Furniture class. Painted furniture is a popular look right now. 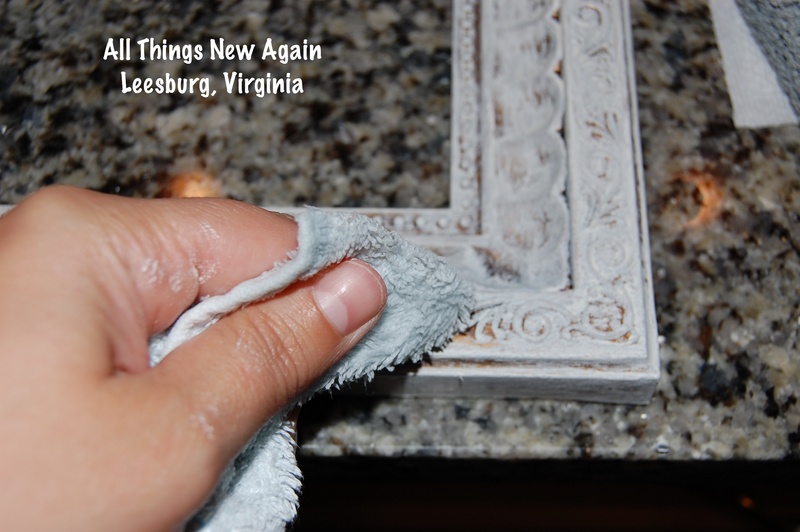 It is an easy an inexpensive way to update your home. We’ll teach you the skills–and the confidence–to paint furniture like a pro! I had just tried this for the first time recently on a mirror. I was trying to decide whether to let the paint go into all the crevices and buff off some paint on the raised areas or do the dry brushing lightly and not fully getting into all the crevices…Im thinking I like the later but a mix of both is good….Thank you for your post.